The homes that are on the market are less affordable to a growing proportion of the population, according to research, and entry-level buyers will likely have the most difficulty finding a home they can afford this spring. The national supply of homes for sale hasn’t been this thin in nearly 20 years. And over the past year, the steepest drop in supply has occurred among homes that are typically most affordable for first-time buyers and in markets where prices have risen sharply. 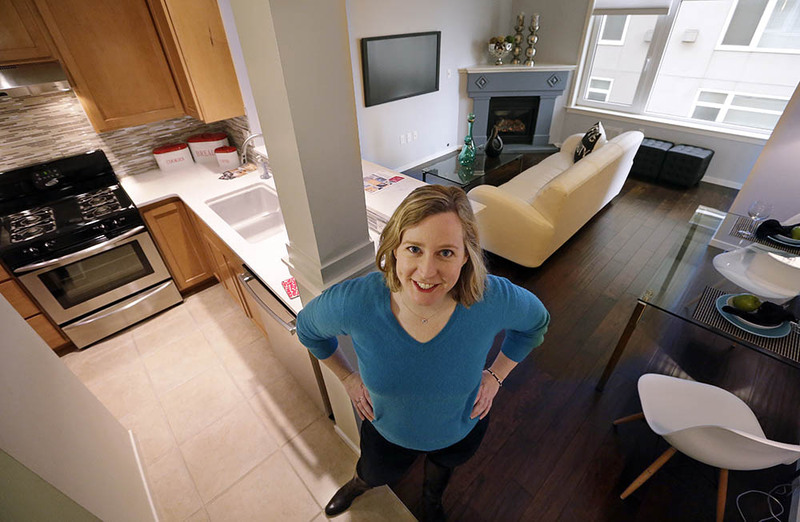 Within a week of listing her one-bedroom, one-bath condo, Mulcahy received 21 offers – all above her asking price of $398,000. Most of the offers came with built-in triggers to automatically rise in case a rival bidder sweetened a bid. In the end, she accepted an offer of $500,000 – all cash. “A lot more than I expected,” Mulcahy said. About 1.75 million homes were for sale nationally at the end of February, according to the National Association of Realtors. That’s down 6.4 percent from a year earlier and only slightly up from January, when listings reached their lowest point since the association began tracking them in 1999. All told, the supply of homes for sale has fallen on an annual basis for the past 21 months. • Since 2008, the average time homeowners have stayed in their houses before selling has doubled to nearly eight years, according to Attom Data Solutions. • Many homeowners aren’t selling for fear they wouldn’t find a new home they would like and could afford. Some who had locked in ultra-low fixed mortgage rates may be reluctant to take on a new loan at a higher rate. Others may wish to sell but can’t because they own one of the 3.2 million homes worth less than what’s owed on their mortgage. • Some homeowners own other properties they rent out and have little incentive to give up the steady rental income, especially while they’re also benefiting from rising home values. • Investors, who typically keep properties for disproportionately long periods, own a larger share of houses. Between 2006 and 2016, the share of U.S. single-family houses and condos owned by investors averaged around 30 percent, according to Attom, and reached 35 percent last year. Nor are builders replenishing the stock of new homes fast enough. Though the pace of building has been rising, it has yet to make up for years of sluggish construction growth that followed the housing bust. Builders complain that they can’t build more homes because of a lack of ready-to-build land, costly regulations and a chronic shortage of skilled construction workers. Despite the scant supply, U.S. home sales are expected to rise this year, economists say. Fueled by job growth, pay raises and still-low loan rates – and perhaps fearful of being left out as more homes are snapped up and prices rise further – many people are looking to buy. Nationally, the supply of entry-level homes for sale has declined the most from a year ago – down 8.7 percent in the first quarter, according to Trulia. The supply of move-up homes is down 7.9 percent. By contrast, the supply of high-end homes has slipped just 1.7 percent from a year ago. The coastal markets are among the tightest, reflecting years of declines in homes for sale. Seattle’s inventory is 20 percent lower than it was in the first three months of last year. It’s down 66 percent since 2012, according to Trulia. But even in housing markets where the supply has grown over the past year, prices have risen briskly. Take Denver. Its inventory was up 6.5 percent in the first quarter. Yet it was still down 61 percent from its 2012 levels. That’s one reason why sellers there are fetching multiple offers. After months of looking for a home, Alaina Donofrio recently bought a 700-square-foot, one-bedroom house in Denver. Hoping to dissuade rival bidders, she agreed to pay $18,000 above the seller’s $308,000 asking price. That wasn’t all she had to do.